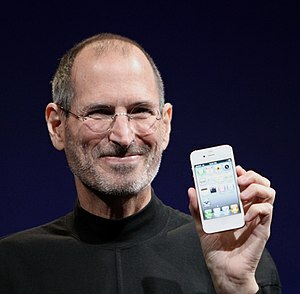 UPDATED: 08/10/11 – This post is dedicated to one of my heroes and role models, Steve Jobs, 1955-2011, Thanks for the inspiration. May God bless you. In February 2010, I posted the blogpost – Steve Jobs (CEO Apple) management style and CIOs that is currently my most successful blogpost. This post attracts so many people that the search, ‘apple management style’ will return this article as the number one post. That’s without any adwords! With the arrival of Tim Cook as Apple’s new CEO, a lot has been written comparing the two. I actually debated about writing an article on Tim Cook’s management style as well and spent the last two week’s debating the direction to take. In the end, I decided that it would be best for me to re post the original blogpost in its entirety. That decision was made because so much has been written about Tim Cook (both in the past and currently) that it would be better to leave all my readers with some appropriate links to get an idea of Tim Cook’s management style. This article is an article in a series of articles where I will analyse current and past leaders to ascertain how Chief Information Officer’s (CIOs) can learn better management by applying the management practices of leadership, practiced by these leaders. I have broken down Steve Job’s style into two distinct pieces. The management style and the presentation style. 1. SWOT analysis: As soon as you join/start a company as a CIO, make a list of strengths and weaknesses of yourself and your company on a piece of paper. Don’t hesitate in throwing bad apples out of the company. The lesson that can be learnt is that within IT we need to spot opportunities for improvement. It is not enough, however, just to spot them, the onus is to spot them and then to create an environment to leverage that opportunity and to make it happen. As a CIO, we need to ask ourselves, what can we do that will improve our customers or our own productivity? That could entail listening to your customers, horizon scanning or simply taking action on something that you feel would help you, your team/and/or customers. CIOs need to ask themselves how they can help the business through leveraging IT to create competitive advantage? I covered this a few weeks ago, in my post, Leveraging IT for Competitive Advantage – Myth or Reality?. Sometimes, it makes sense not to embrace open platforms, as Apple has created a significant competitive advantage, by keeping it’s hardware/software systems closed. CIOs need to make such decisions cautiously. CIOs need to be facilitators and to bring people together working towards a common goal. It is also important to have succession planning in order that the business has continuity in the unfortunate event of a CIO not being able to provide management. A CIO needs to focus on the most important issues that are relevant to the business and to shy away from the issues/projects that do not add value to the business but may just be a ‘nice have’ or appear to add value. Learn to say, ‘No’. The CIO and the entire IT department need to know how the business operates, preferably, as intricately as possible. It is that complete overview that will allow innovative opportunities to present themselves. CIOs need to know when to intervene. For example, in many cases that could mean stopping projects altogether to take stock of current situations or to change the direction. There is no shame in that as the project has to deliver the project’s core objective. CIOs need to help the businesses by utilising IT to create opportunities in attracting additional customers. They need to ask themselves, “How can we assist in taking the business to the consumer”? I covered this, under mobility of management when I covered; can IT Management failure be caused by a deadly disease? Part II. CIOs need to understand the importance of retaining and investing in people as one of the business’s most important assets is yet again confirmed by another business leader. This means that they need to stand by that conviction and avoid losing people in economic downturns. Apple has proved that failure can lead to success and continues to innovate by investing in many technologies. Some will inevitably fail while others such as the iPod and iPhone will be huge successes. Many businesses lack of innovation is due to their fear of failures. 14. Earn respect: Steve Jobs can be a hard boss to work with but Jobs’ employees remain devoted. That’s because his autocracy is balanced by his famous charisma — he can make the task of designing a power supply feel like a mission from God. CIOs need to command respect from their employees and that is something that has to be earned! For the second part, I am reproducing an article written by Carmine Gallo in BusinessWeek for his new book, The Presentation Secrets of Steve Jobs: How to Be Insanely Great in Front of Any Audience . For this book he watched hours of Jobs’ keynotes. Here he identifies the five elements of every presentation by the Apple CEO. CIOs can improve their presentations by using these five elements. One more thing…sell dreams. Charismatic speakers like Steve Jobs are driven by a nearly messianic zeal to create new experiences. When he launched the iPod in 2001, Jobs said, “In our own small way we’re going to make the world a better place.” Where most people saw the iPod as a music player, Jobs recognized its potential as a tool to enrich people’s lives. Cultivate a sense of mission. Passion, emotion, and enthusiasm are grossly underestimated ingredients in professional business communications, and yet, passion and emotion will motivate others. Steve Jobs once said that his goal was not to die the richest man in the cemetery. It was to go to bed at night thinking that he and his team had done something wonderful. Do something wonderful. Make your brand stand for something meaningful. For more of Job’s techniques, flip through this slide show. Then catch a video interview with Carmine Gallo about how he researched his book. Quotations from Chairman Steve by network world – What is the “aggressive” style in which Steve Jobs holds his meetings? Srivathsan Krishnamurthy said the following on a social media site: I recollect quote of Zig Ziglar – It’s not the aptitude; It’s the attitude that determines the altitude. IMHO – Attitude would be key and to make the transition successful; it should be parallel perform/getting into the groove – like a 4×100 relay race where both run together tp pass the baton. Yes, attitude is paramount as without the correct attitude, successors cannot communicate effectively or be a good change manager. Attitude also deals with people skills, as a new successor often has to engage with people across the breadth of the organisation. Attitude and determination to get the job done, regardless of obstacles (To be seen as opportunities) will ensure success. Yusuf Purna said the following on a social media site: One of responsibilities of a leader should also include preparing its successor candidates. I replied: That is the problem. Often organisations find it hard to appoint successors. Yusuf, what qualities’ do you think a successor should have? Frank Feather said the following on a social media site: Their own uniqueness. Don’t try to copy the previous incumbent. Be yourself. But honor and build upon the culture they built (assuming its positive, otherwise change it, fast) and successes that they attained (same qualifier). Jeff Immelt is not Jack Welch, but he succeeds in different ways, building on what GE had put in place. I replied: Their uniqueness, attitude and determination to get the job done, regardless of obstacles (To be seen as opportunities) will ensure success. Attitude is paramount as without the correct attitude, successors cannot communicate effectively or be a good change manager. Attitude also deals with people skills, as a new successor often has to engage with people across the breadth of the organisation. I agree, sometimes successor’s will walk into organisations’ and over write all the good that had been done by previous management and that is not the ideal way to go, unless, as you said, those changes did not work. I like your example, Frank, perfect! Aprill Allen said the following on a social media site: They should be a good manager and communicator but the most important attributes of a good succession candidate are passion for the product and the drive to WANT to take over. Often there are several employees within the business who have all the right stuff but just don’t want to be in control. I replied: Yes, attitude is also paramount as without the correct attitude, successors cannot communicate effectively or be a good change manager. Attitude also deals with people skills, as a new successor often has to engage with people across the breadth of the organisation. 13.9.11 – Phil Green added: I believe that following in the footsteps of a charismatic, highly successful leader is an extraordinarily hard task. Even harder if the outgoing leader was a founder! The best fit would be someone that is operationally very strong who can keep the organisation together whilst continuing their predecessor’s legacy. Then it’s a matter of waiting for a strategic opportunity to arise that allows the new leader a chance to put their own stamp on the organisation. I replied: @ Phil: That is generally the conclusion that I have found when reading around the subject that founders often have a different skillset from people who succeed them. For example, founders maybe very entrepreneurial and as a result may not make the best managers. For example, the founders of Google, had the idea and found that they had to learn the managerial skills from Eric Schmidt. On the other hand, Bill Gates seemed to have no problem managing Microsoft. I also agree that as long as the new leader can keep ‘all the plates spinning’, opportunities will present themselves eventually where the new leader can shine. The first 90 days are usually the most crucial ones and successful leaders, usually use that time wisely…. Michael Brockington said the following on a social media site: I’m not sure I agree with the premise – “Organisations’ are increasingly finding it harder to appoint successful successors” – is there any evidance to back this up? Do organisations simply require higher standards from successors than from founders? I replied: @ Michael: No, there is no evidence, that was just my opinion, gathered from reading books, blogs and some case studies, over the years (Again, couldn’t reference them as I cannot recall which ones, to be specific).Maybe, it is as you said and I found that while reading around the subject over the years. Founders often have a different skillset from people who succeed them. For example, founders maybe very entrepreneurial and as a result may not make the best managers. For example, the founders of Google, had the idea and found that they had to learn the managerial skills from Eric Schmidt. On the other hand, Bill Gates seemed to have no problem managing Microsoft.Happy to learn more and get more feedback, Michael. wonderful points altogether, you just won a emblem new reader. What may you suggest in regards to your post that you simply made some days in the past? Any sure?